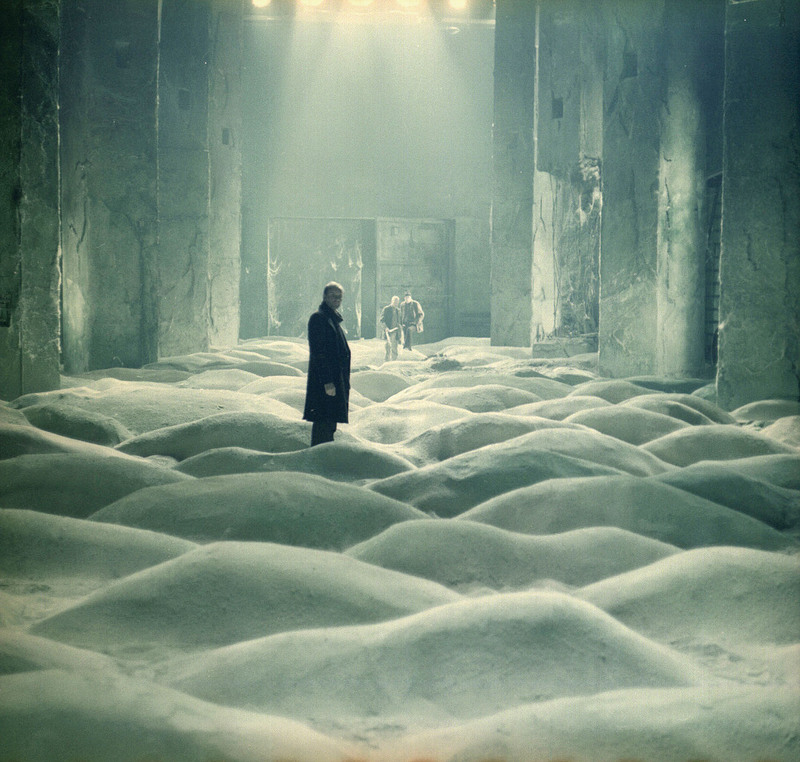 A retrospective of the films of Andrei Tarkovsky has just opened across UK cinemas. Organised by the BFI, Curzon and Artificial Eye, the retrospective will see all seven of his films shown in their entirety. For this special screening at the Curzon Bloomsbury, the film was preceded by an interview with the architect Takero Shimazaki. Shimazaki was in charge of the redesign of the Curzon Bloomsbury and talked about Tarkovsky’s influence on his work and the relationship between architecture and film. In all honesty, the talk was not quite as illuminating as hoped. While Shimazaki seemed like an interesting craftsman, the actual link between Tarkovsky’s films and architecture seemed to go amiss. There were vague allusions to ‘texture’ and ‘space’ which were ultimately meaningless, in that these terms could be applied to any arthouse auteur and any building. Shimazaki said that they were shown a Tarkovsky film at his university on their first day of term, but it was a struggle to define how Tarkovsky influenced his work in a tangible way. The phrase ‘dancing about architecture’ circled around my head as the words flowed. This was my second viewing of Stalker and I was intrigued to see how seeing it on the big screen would affect my experience of it. In the event, there wasn’t much of a difference. I have always found Tarkovsky a film maker to admire and contemplate after the fact, rather than someone to immerse yourself in. Ivan’s Childhood and Andrei Rublev are fairly accessible and immersive, but the rest of his oeuvre is somewhat of a challenge. I am reminded of those tiny model artists who have to slow their heart rate down in order to concentrate properly. Tarkovsky’s films need a similar level of devotion in which the viewer must give in to the snail-like pacing. Stalker is perhaps the most heralded of his films. Set in a bleak, decaying parallel world, a ‘Zone’ exists on the periphery of a Soviet city. This Zone is a mysterious, mythic place cut off from mainstream society and guarded by the fearful authorities. The story goes that if an intrepid explorer manages to breach the Zone and enter the ‘Room’, then their innermost desires will be fulfilled. These explorers are called Stalkers, one of whom is played by Aleksandr Kaydanovskiy. The Stalker is assigned to smuggle the Writer (Anatoliy Solonitsyn) and the Professor (Nikolay Grinko) across the treacherous obstacles that lead to the Zone. Each man has their own ulterior motive for the journey, which slowly reveals itself throughout the film. Stalker leaves behind his wife and sick daughter, a victim of the fallout from the Zone (echoes of Chernobyl abound). There is a desperation in his eyes, a yearning for the Zone that cannot be sated by his family’s love. The Writer is similarly tormented, his fame and fortune negated by a nagging existentialism. The Professor, meanwhile, is a coy participant, his knapsack bulging with hidden questions. The idea of innermost desires is an interesting one. Tarkovsky has ruminated on this idea in many of his films, most notably his Solaris adaptation. His protagonist finds himself on a space mission, entering into a Bermuda Triangle-like zone where people from their past come back to haunt them. Like the characters in Stalker, the crew of the ship are yearning for something unattainable, their most prized desires, this time in the form of loved ones that have passed onto the next realm. 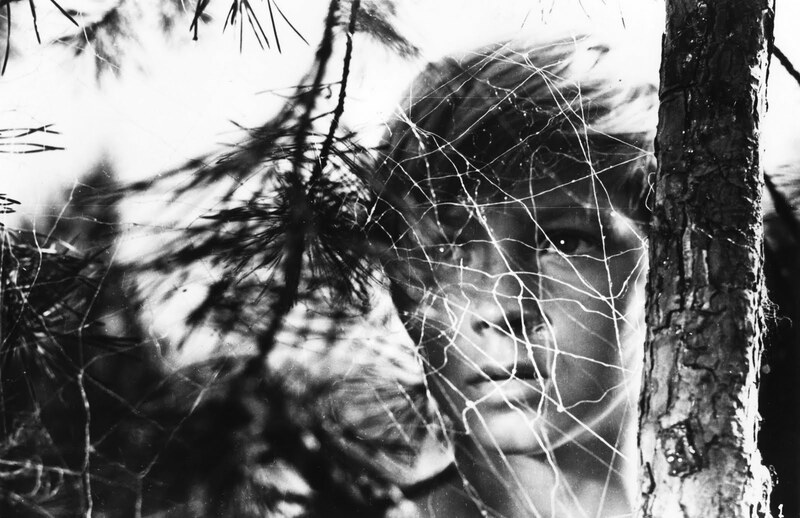 Fear and desire is a bedrock of screenwriting and storytelling in general, and Tarkovsky more than any film maker has sought to capture this yearning on screen. Stalker is not an easy film to sit through. It moves at a mournful pace, and while there are moments of gallows humour, there is an overwhelming somberness to the film. The characters talk in long, rambling, sometimes poetic monologues, often preaching to the camera. The film begins in a sepia-drowned world, and explodes into colour once the trio enter the Zone. The colours however are bleached out, otherworldly, timeless. Stalker is a film that exists in itself. It may be demanding, unsettling, even dulling at times, but it has a singular atmosphere unlike any other film. The camera is often held at mid-height, hovering strangely like a drone observing the action, waiting to pounce on the fragile characters. As we enter the Room, the extraordinary set design comes to the fore, a beguiling, exotic desert scape that makes the viewer think of the sands of time. 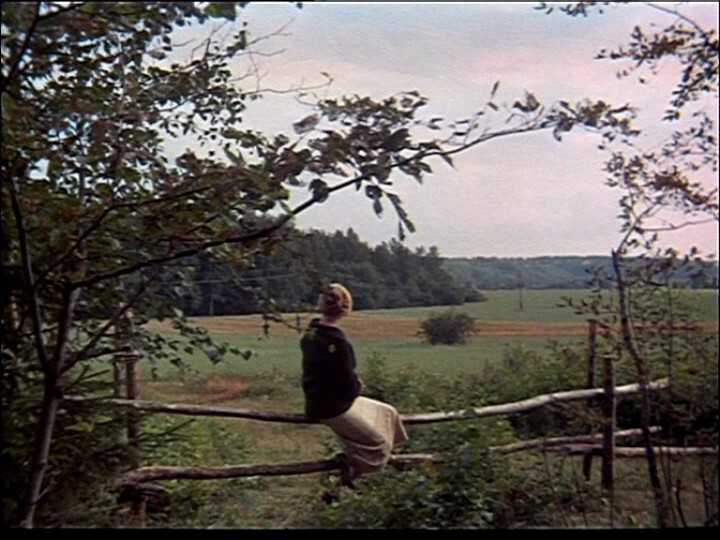 Tarkovsky and his crew were fantastically adept at transferring interior thoughts and feelings to exterior settings. The desolation of the Zone, with its wild, untamed nature and industrial wreckage perfectly mirroring the characters inner loss. Stalker is not an inherently enjoyable film, but that’s not the point of it. We need artists like Tarkovsky to show alternative realities, to think about how and why we exist. 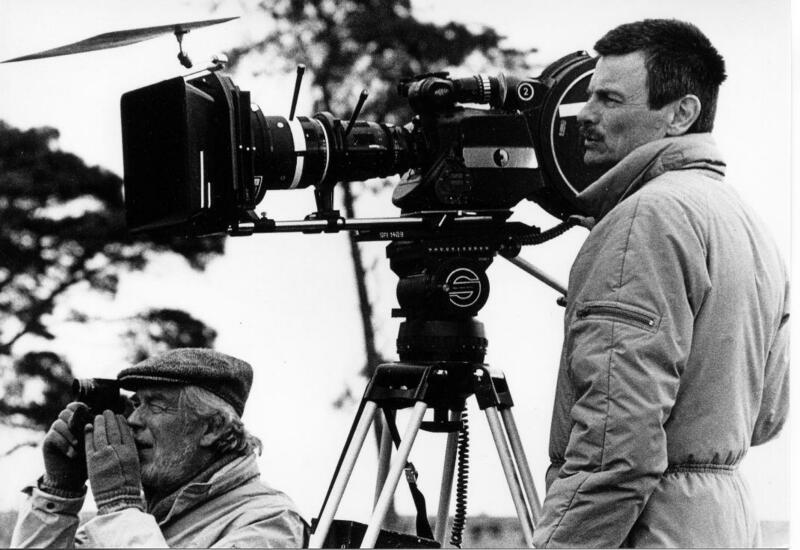 Tarkovsky is one of the few film makers who really makes you think about the possibilities of life in a different way. I might not enjoy watching Stalker in the moment, but in the days, weeks and years after it becomes quite invaluable. If there’s anything I’ve learned about the inhabitants of Russia in this life, then it’s their fondness for vodka and fixation with mortality. This fixation has cut a cultural path through the centuries, from Nikolai Gogol’s darkly humorous novel Dead Souls to Andrei Tarkovsky’s existential dramas Solaris and Stalker among others. Director Aleksei Fedorchenko continues with this theme in Silent Souls, a dreamlike take on death and the afterlife. It is a simple narrative; Aist (Igor Sergeev) and Miron (Yuriy Tsurilo) work in a paper mill in a rundown rural town, inhabited by a people known as ‘Merjans’. Miron, the boss, confides in his friend that his wife Tanya (Yuliya Aug) has died suddenly and asks Aist to help him give her a proper farewell. For the Merjan people have a way of marking events differently than civilised society. The two middle aged men set off on a road trip in order to complete the task at hand. Nothing much really happens in Silent Souls. The two men sit in silence in the car, Aist cradling his precious Buntings, a delicate set of birds that come to symbolise some kind of transition for them both. Now and then, Miron tells Aist about his life together with Tanya, a Merjan ritual that the widower reveals all the personal details of his loved one after their death. A cleansing of sorts, but a vulgar one at that. Silent Souls is a strange, languid oddity that works best if the audience let it wash over them. The elliptical editing, swinging between the present and the past, and the vivid, wintery visuals have a woozy, hypnotic effect on the viewer, lulling them into a trance. The long tracking shots from the car are reminiscent of Stalker’s infamous tunnel sequence, an oddly calming and cathartic experience. Andrei Karasyov’s pretty score veers between the dreamy and the sentimental, echoing the film’s mix of emotion and distance. Sergei Parajanov occupies a strange place in public perception; lauded to the high heavens by critics and cinephiles as one of the greatest filmmakers of all time, yet seemingly unknown to 99% of the population. Perhaps it is his Armenian background, not exactly a hotbed of household figures. Or maybe it’s because of the censorship and imprisonment that hindered his career? Fortunately Parajanov seems to be gaining some more exposure in recent years; there has been an upswell in interest in lost filmic gems, signaled by Scorsese’s film restorations. Parajanov certainly deserves his reputation, despite any qualms I might have with some of his work. His films have a visual style almost completely unique to any other; how many filmmakers could you say that about? The Colour of Pomegranates is his most famous film. It is an unconventional biopic of the Armenian poet Sayat Nova. Instead of telling a traditional story of Nova’s life, traipsing through his ups and downs, Parajanov uses an elliptic editing style, making use of static tableaux shots and poetic flights of fancy. In fact, you would be hard pressed to find a distinctive story to grasp onto. We begin seeing through a child’s point of view, flashes of colourful daily life in a rustic town. It is reminiscent of Tarkovsky’s Mirror and the recent The Tree of Life, dwelling on moments of beauty and revelling in Nova’s childlike wonder. Parajanov has little interest in telling a classical story, but creating a piece of work that reflects Nova’s own poetry. There is little dialogue, and the acting is fairly muted. Having seen a few of Parajanov’s films now, I would say that the performances are less about expressing themselves as human beings, more vessels for Parajanov’s overall vision. Parajanov was influenced by “Armenian illuminated miniatures”, which explains why each frame feels more like a intricate painting than a cinematic image. Costumes and mise en scene are lovingly handcrafted by Parajanov, creating some of the most beautiful frames in cinema. I have to confess, although Pomegranates is visually stunning, I prefer the swashbuckling, roaming cinematography of Shadow of Forgotten Ancestors, an earlier film. The Kalatozov ( The Cranes Are Flying) style camera work coupled with the mise en scene in that film created some extraordinary sequences. Still, Pomegranates is one of the most distinctive and visually inventive films ever produced; young filmmakers would do well to get educated by it.